We’ve looked at the time when BMW paved the way to their future through innovation. Now we’ll be taking a look at their past when they were defining themselves as a force to be reckoned with in the automotive industry. Back in the late 1930s BMW designed the 328: a sports car with the body design credited to Peter Szymanowski, who became BMW chief of design after World War II (although technically the car was designed by Fritz Fiedler, but we will get into that further down). Few cars can invoke fascination in the eyes of the public, 75-years after their premiere, and even fewer can claim to hold as much as the BMW 328. Built between 1936 and 1940, the BMW 328 laid down a milestone in automotive history and was “the” most successful sports car of the 1930s on the racing scene. It was immediately an icon with its never-before-seen agility, acceleration, reliability, and lightweight construction – this car ushered in a new era for BMW, which was once known exclusively for their planes. In that era, “Kompressor” machines ruled the auto racing world, the BMW 328 Roadster – weighing just 780 kilograms and developing a modest 80 horsepower in series production form – became the main contender for that throne. And sure enough, their original Roadster wasted no time in leaving supercharged rivals in the dust during its debut outing at the Nürburgring on 14 June 1936. The car went on to become a staple in the international racing scene which was sadly interrupted during the dawn of WWII. The political situation meant that only a handful of races took place in 1939 and 1940. One of those was the 1940 Mille Miglia. It covered 1,000 miles but this time the drivers would not be competing on the classic route to Rome and back, but over a 167-kilometre triangular course between Brescia, Cremona and Mantua, to be lapped nine times. 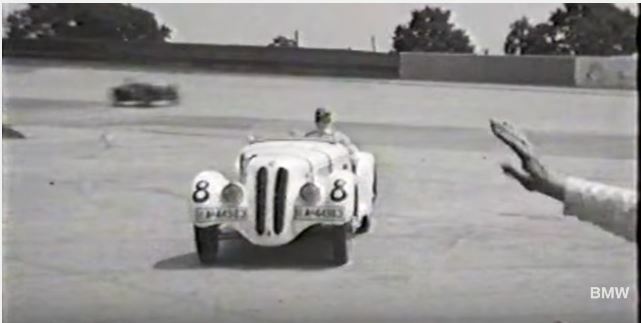 BMW set its sights high and entered five uncompromising race BMW 328s in the event. Alongside the three Roadsters, the Touring Coupé and Kamm Coupé, a pair of hardtop versions of the BMW 328 were added to the line-up. The race-bred engines of the five Mille Miglia cars developed between 130 and 136 hp, and were capable of top speeds ranging from 200 to 220 km/h. The BMW 328 Roadster won the 2-litre class in the 1938 Mille Miglia and even experienced a major triumph in 1940. Waved on his way at 6.40 a.m. on 28 April 1940, Touring Coupé driver Huschke v. Hanstein roared straight into the lead of the 2-litre category and never relinquished it over the full 1,503-kilometre race distance. After eight hours, 54 minutes and 46 seconds car number 70 duly took the checkered flag. Von Hanstein and his co-driver Bäumer had not only wrapped up the class honours – with an average speed of 166.723 km/h – they also took overall victory and, setting a mark of 174.102 km/h, recorded the fastest lap average. No other Mille Miglia winner before or since has matched the speeds achieved by the “Rennbaron” in his BMW 328 Mille Miglia Coupé with Touring body. After the war, the BMW 328 continued to enjoy success in international competition well into the 1950s. This makes it one of the most successful racing cars in BMW’s long history in motor sport. Into the 1950s, more than 10 years after its introduction, the BMW 328 and its offspring from various body manufacturers were still dominating the 2-litre class. 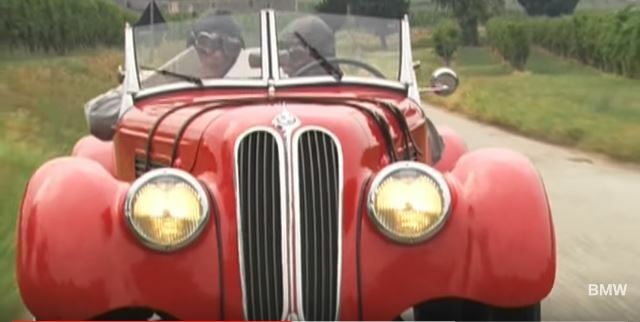 Today, of the original 464 BMW 328 ever built, only around 200 have survived, most of which are in Germany. Some are even brought out to show off on the track. To be reminded of just how potent the 1940 cars still are today, you need only witness them in action. A car is meant to be driven and BMW is “the ultimate driving” machine. The 328 is now a part of BMWs 3-series of sedans and coupes but it will always be remembered for its prowess on the track.